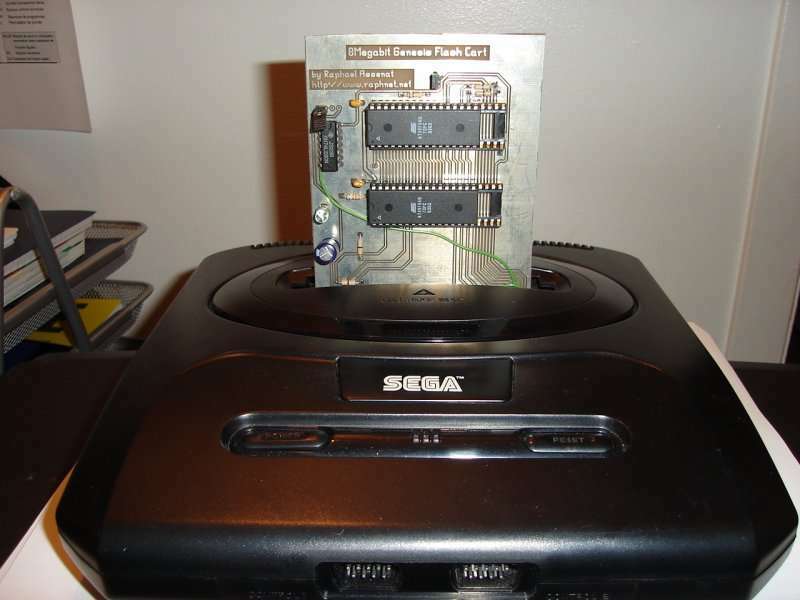 You can develop your own applications or games and try them on real hardware instead of using an emulator. If you'd like to get into genesis development, I think the genesis technical documentation available at zophar is a good starting point. 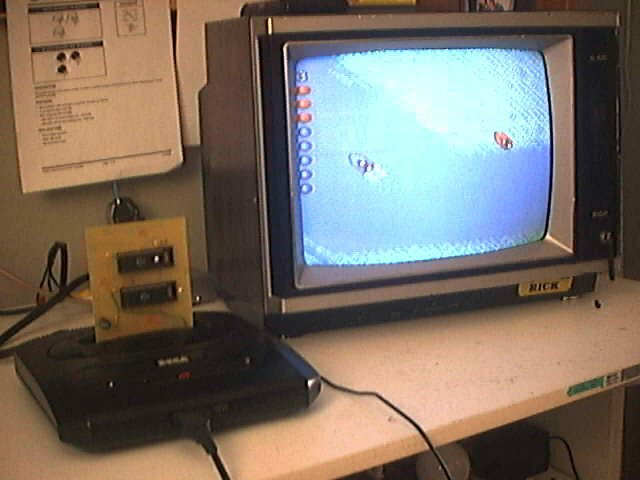 You can listen to genesis music (.gym) on a real genesis. There is a rom named Flavio's GYM Player which needs to have a .GYM file appended to it. Once loaded, the rom plays the gym file. You can download .gym music from zophar's genesis music archive. Demos are usually animations and presentations with special effects and music made by one person or a group of person to demonstrate their abilities. IMPORTANT:Do not contact me asking for roms or where to get them. 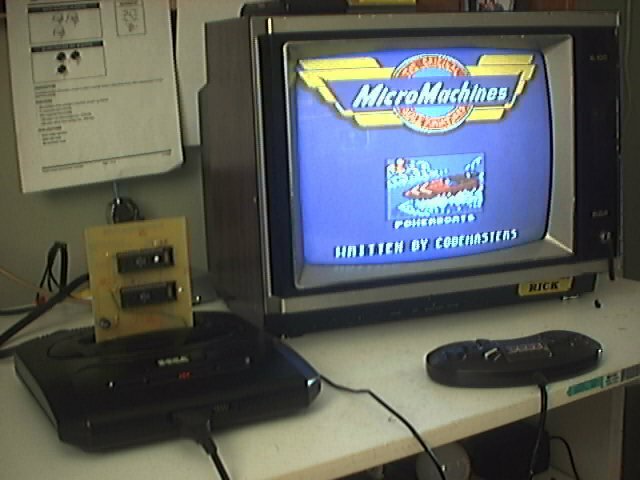 Here are a few pictures of the second version, which supports games up to 1024K (1Meg) by using 2 AT49F040 512K flash chips. This new version can also hold 2 games of 512K each. Each time the console's reset switch is pressed, the current game is changed. A jumper selects between the 1x1024K and 2x512K mode. 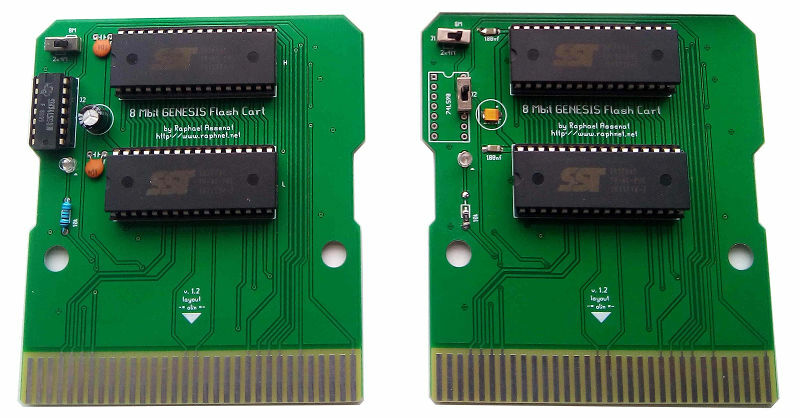 I Used 2 flash chips because the Genesis data bus is 16 bits wide. 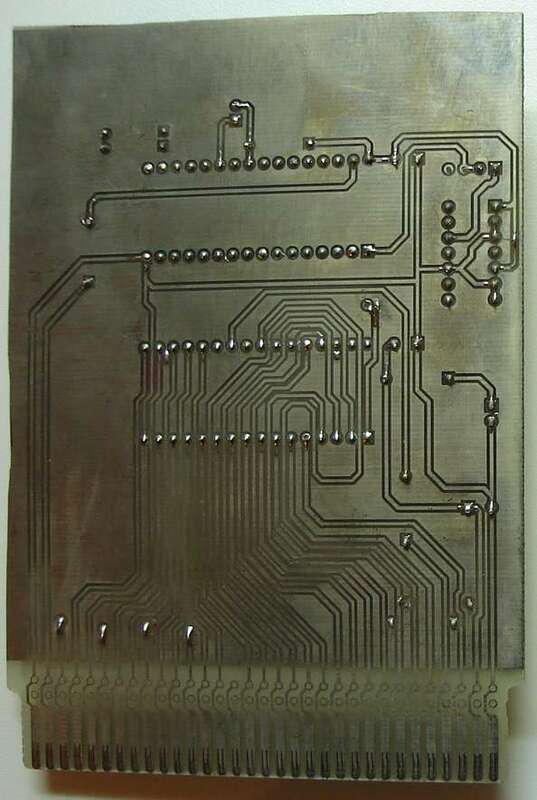 One chip is for bits 0 to 7 and the other is for bits 8 to 15. 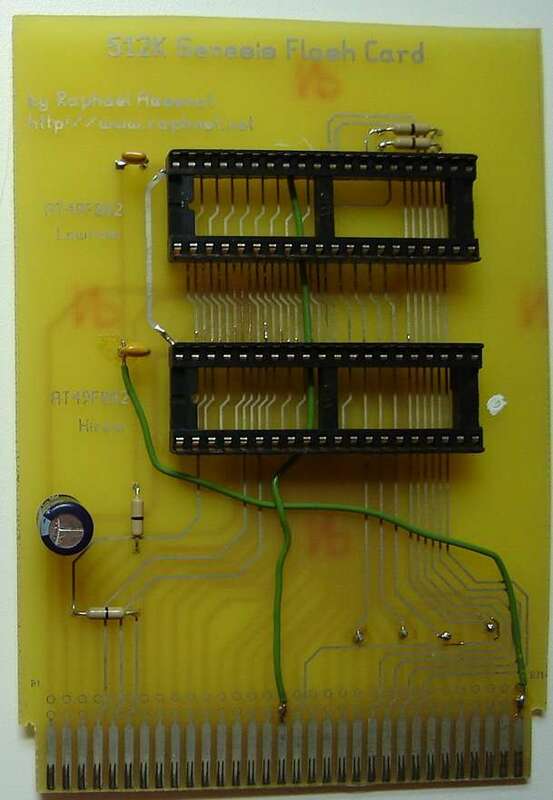 The first version which used AT49F002 flash chips did not have the 74ls90 to alternate between banks. The A18 signal was simply not connected since the flash chips addressing stops at A17. 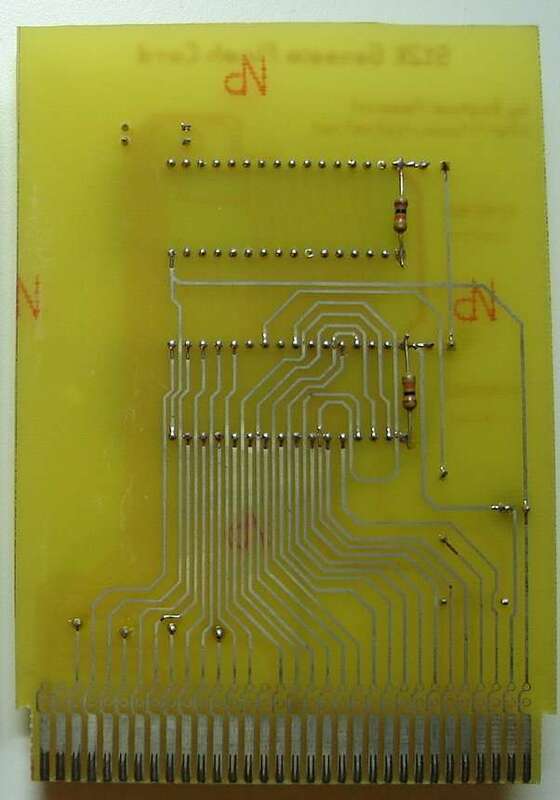 I used a software named PCB to create the layout. 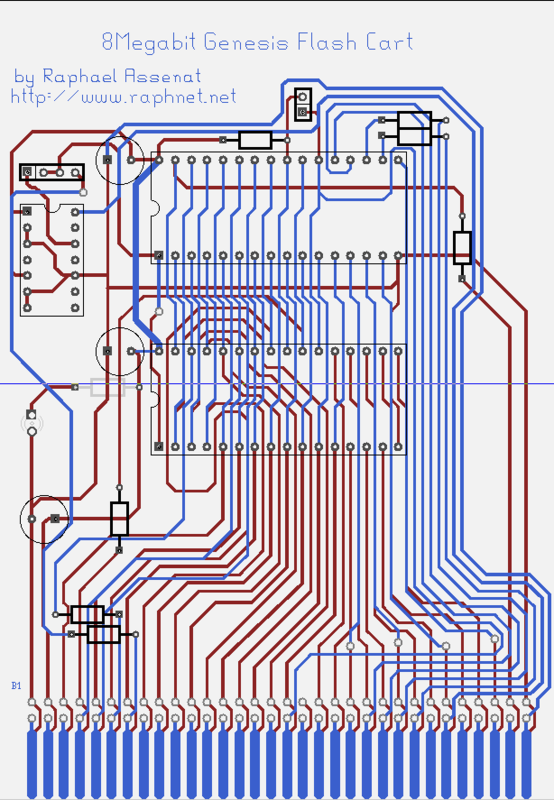 PCB is available at pcb.sourceforge.net and works on Unix like systems. If you're not on unix, just use the gerber files. Warning: There are some small mistakes on the 512K version. Take note of the wires on the picture. The 1024K version on the pictures had mistakes too but I have corrected them in the source file. 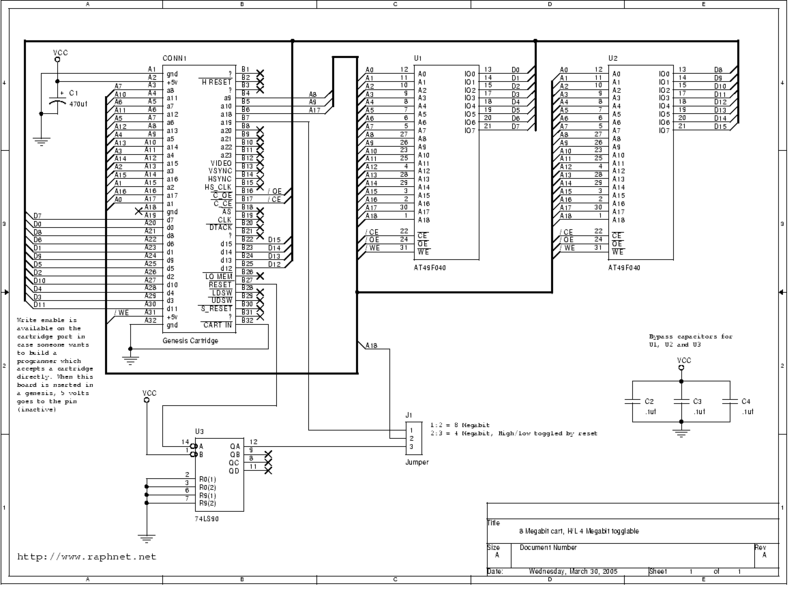 To program the flashs, I use an old universal programmer from xeltek. You can buy an universal programmer from ebay for approximately 50$ US. 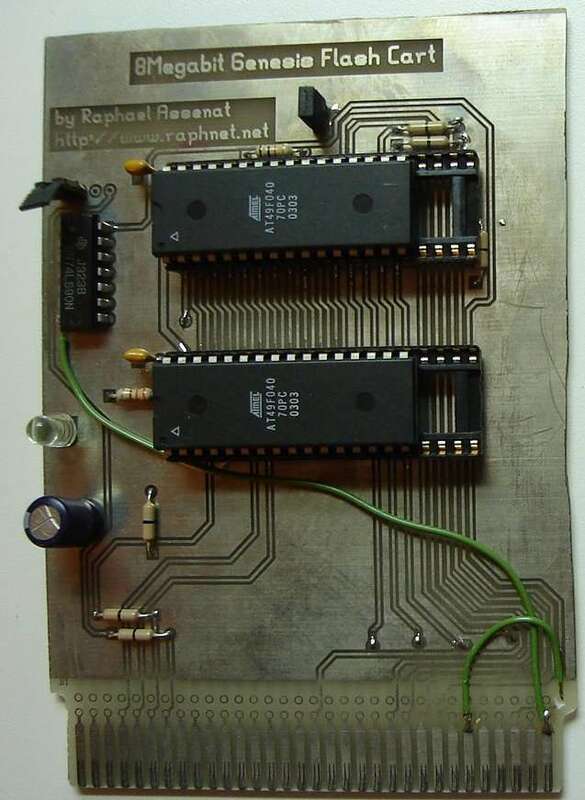 You may also build your own programmer since the flash datasheet explain how to program them. My universal programmer only accepts dip chip packages. It can program other types of package with an adaptor. I was not able to find flash chips bigger than 512K with a dip package. 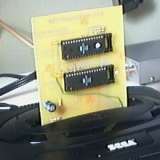 I could have soldered bigger flashes on my pcb but I would have had to build an adapter to program the cart. 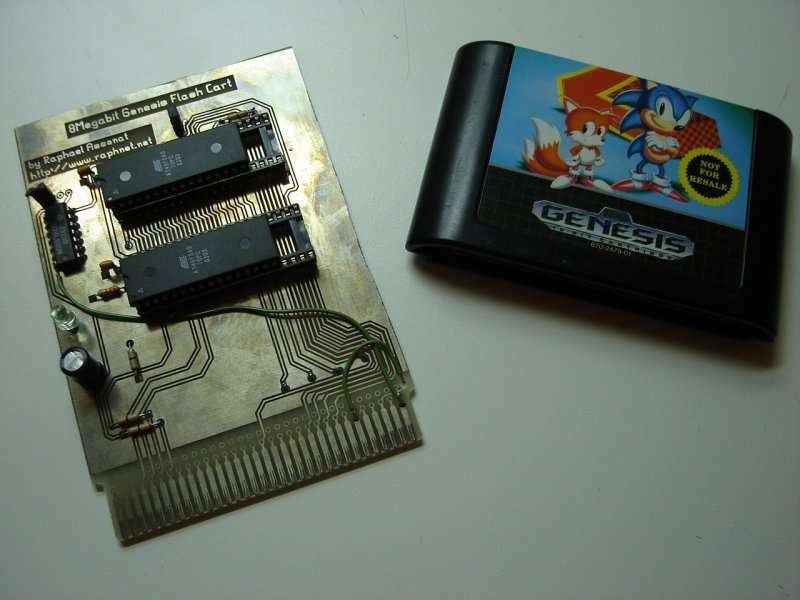 Genesis roms ususally comes in .smd (Super Magic Drive) format. You cannot simply program them in the flash chips, they must be converted to raw binary first. 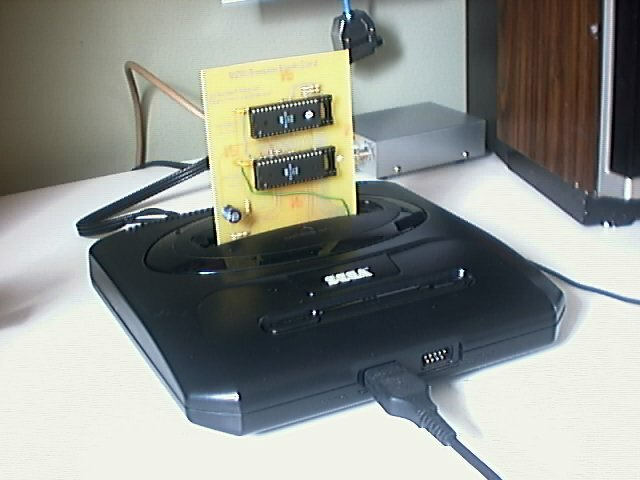 smd2bin.tar.gz Source code and make file. smd2bin.exe 32 bit windows executable. I used the information from smdform.txt to code this tool. The genesis data bus is 16 bits wide. I use two 8 bit flash chips so we must split the of 16 bits words contained in the .bin into high and low bytes. bin2hilo.tar.gz Source code and make file. bin2hilo.exe 32 bit windows executable. 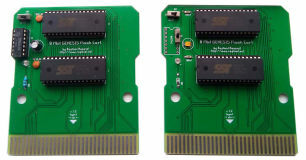 You can now program your flash or eeprom chips with those two new files. 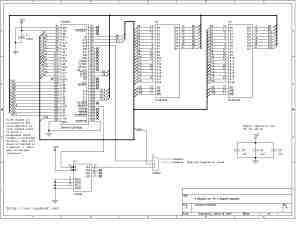 The software you use to program your flash and eeprom chips may have an option to load even and odd bytes separately. If it has, you dont need bin2hilo.